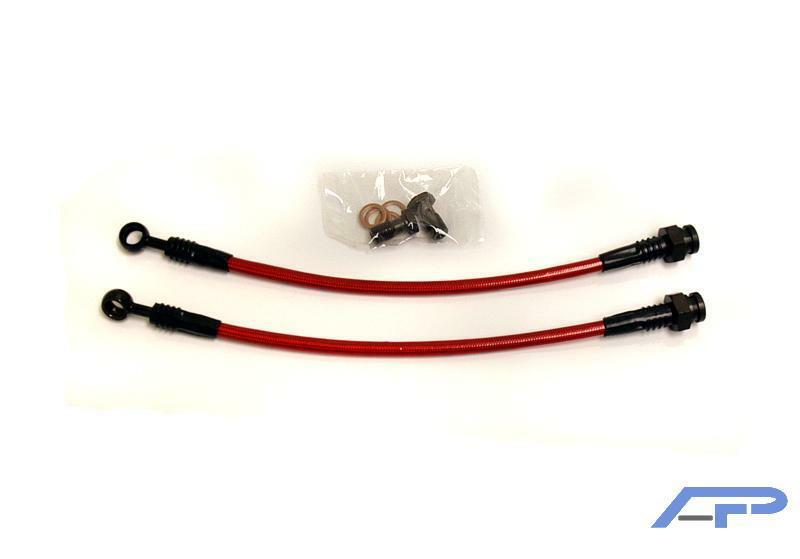 (S13 -Rear) Built for the (89-94) Nissan 180SX... Agency Power now has a wide variety of steel braided brake lines for most high-end performance cars. The brake line kits are made in the USA to meet strict D.O.T. certifications. The steel braided lines are a smoke color with a printed AP logo. The CNC machined fittings are in classic Agency Power Gold. All kits are assembled for a quick and easy install. Include fittings, hoses, and necessary hardware. Steel-braided lines improve component performance over the stock rubber lines. With rubber hose, the fluid flexes the hose under pressure, causing loss in firmness and reaction. With the steel braided lines, the response is firmer giving you more control. Brake lines are sold as pairs, front or rear. See item description.